The Opel Combo has the longest, widest, highest cargo area in its class and the lowest load surface for easier loading and unloading. 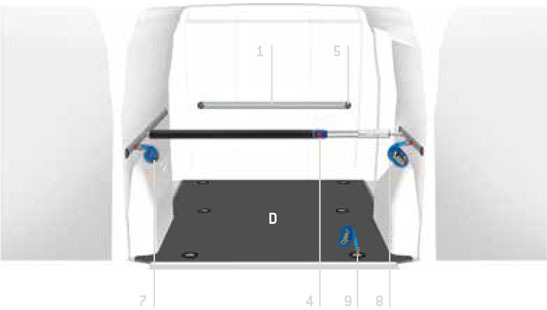 Look after your van’s interior bodywork with the Store Van lining solutions available: 9 mm thick wood flooring with phenol film finish shaped to fit the vehicle’s original anchor fixtures and polypropylene honeycomb panelling for the sides and doors. What’s more, our commercial vehicle linings provide a solid base for installation of the mobile office personalised for your Opel Combo.